Providing the best possible dental care to our patients in Mission. Make your first dental visit at our Mission Dental office a pleasant experience. Our caring and gentle Mission Dental team will welcome you to our office and provide the best possible dental treatment to you and your family. Our “Patient Centered Care” approach makes your oral health and your concerns our number one priority. Our New Patient Forms can be found here. In order to treat teeth misalignments and crowding and give you the most beautiful smile, our Mission dentists at BridgeView Dental Health Clinic are happy to provide Invisalign® (clear braces) treatments for all ages. Invisalign treatments are clear dental braces without the wires. With years of experience, our Mission Dental team is ready to straighten your teeth and make your smile beautiful. Book your consultation Today! The next best alternative to natural teeth is dental implants. Dental implants look, feel and function like natural teeth. 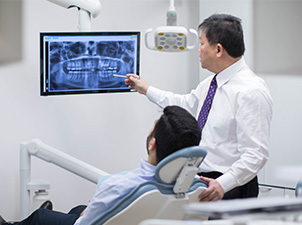 Our Mission Dental experts in Dental Implant surgery are happy to provide our patients with the highest quality dental implant solutions possible. 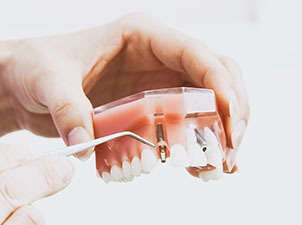 Dental Implants can be used to replace one tooth or incorporated with Bridges and Dentures to replace many teeth. Contact us for your consultation with our Mission Dental Team.